The 4.5cm KELT-North Telescope (Winer Observatory, Arizona). The KELT detector is an Apogee Instruments AP16E thermoelectrically cooled camera, using a front-side illuminated 4096 x 4096 Kodak KAF-16801E CCD with 9-micron pixels. For the Praesepe data set, KELT used a 10.8° x 10.8° field of view, with a pixel scale of 9.5 arcseconds. The field was centered on the Praesepe open cluster at J2000 08h 40m 06s, +19d 41m 06s. Because all data in the set was taken with the above filter, we calibrated the absolute magnitudes of the observations to RK, listed as Johnson R, even though there is a significant color term which could be as large as -0.3 magnitudes for very blue stars, to +0.8 magnitudes for very red stars. Details of the photometric calibrations are given in the paper discussing the KELT Praesepe observations, with a more comprehensive discussion of the filter and calibrations in the KELT instrumentation paper. 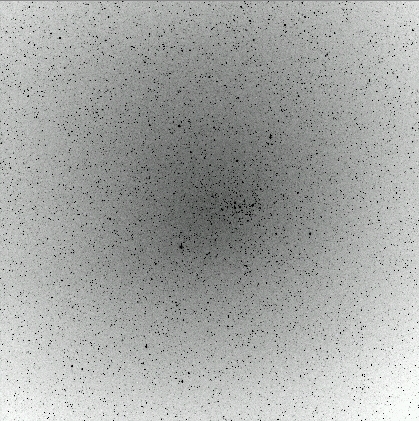 Figure 1: Greyscale image of the Praesepe cluster. 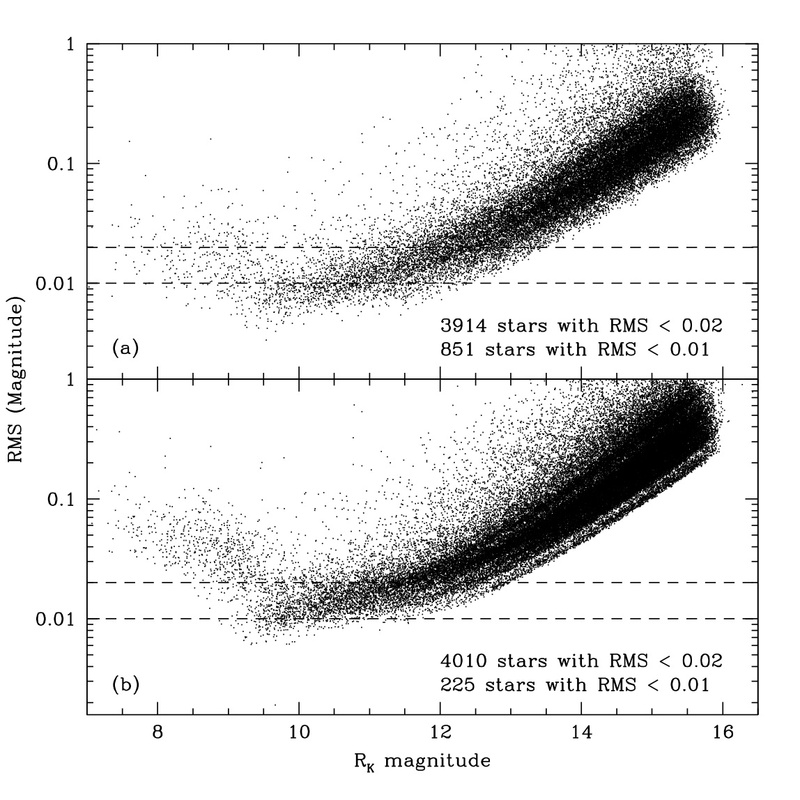 (a) RMS vs. RK magnitude for the 66,638 KELT stars, calculated from 105 observations over the course of one night. (b) RMS plot for the same stars using all 3,137 observations over the full 34 nights. Structure in the plots results from the separate reductions of the four sections of the field to deal with the changes in the FWHM pattern.